In the following verse, he cautions them (and us) to, “Look out for the dogs [the Judaizers, the legalists], look out for the troublemakers, look out for the false circumcision [those who claim circumcision is necessary for salvation]…” (Philippians 3:2 AMP). So we rejoice because of what Jesus has done, because He has made a way for us to become alive as we join in His resurrection life. And we rejoice because we don’t have to rely on ourselves, on our merit and effort in order to be counted among His faithful followers. Anyone else grateful for that? I’d say it’s absolutely cause for rejoicing!! -He was born to Jewish parents who followed the customs and laws as they pertained to him since his infancy. John described them as loyalists, committed to their tradition. -His ethnicity set him apart as the “best of the best” in Jewish culture. He could trace his lineage all the way back to the tribe of Benjamin. -He was highly educated. He had studied under a great priest until he himself joined the ranks of the Pharisees, who demanded the strictest obedience to Jewish law, which he claims to have kept faultlessly. …he lays it all down. What matters to Paul is not where he came from, what his ethnicity is, who his parents are, what nation he belonged to, or how well he followed the rules and the laws. The only thing that matters to Paul at this point is knowing Jesus as Lord. He takes us a little deeper into what it means to know Jesus as Lord. He expresses that he wants to be fully found in him–to know the power of His resurrection, to join in the fellowship of His suffering, to be crucified with Him, and to attain resurrection from the dead. We like to control our kingdoms. We like to compare our kingdoms. We do not like stepping down from the throne at the middle of our kingdoms, and we certainly do not like the thought of anyone else taking that place of authority in our lives. Some of our kingdoms are naturally larger and more prominent, like Paul’s was. Where we are born, the color of our skin, the economic position of our parents, the nation we are raised in–all of these things determine the power of our individual kingdoms-the things we genuinely get to have say over. But we all have one. However meek or mighty, we have one. And we get to choose who sits on the throne. Pastor John asked us on Sunday, “Who do you say yes to? Who and what do you lay down your life for? Paul’s answer to these questions isn’t hard to discern. There was One who had his yes. One who was worth laying down his life–his privilege, power, his own kingdom, absolutely everything–for. To Paul, the surpassing greatness of calling Jesus his Lord was worth everything he once held dear. None of it mattered anymore. Knowing Christ and being raised to life with Him, for the benefit of everyone else, became his only focus. There was no system or structure, no rules or regulations, no position of power or privilege that could offer him the new life and purpose that he found in Christ. Knowing Him, living for His Kingdom, leveraging his life and all he once held dear for others–that’s what mattered to Paul. And it was cause for rejoicing. The old way was all about laws and the past. Jesus showed Paul the new way–hope for the future. For everyone. Dear Church, who and what do we lay down our lives for? Who and what do we say yes to? Do we live for Christ… or do we live for ourselves? Are we known as people who lay down our pedigree and privilege? Or are we known as those who lord it over others as a means to impose our will? Do we align ourselves with the marginalized and oppressed as we enter into the fellowship of the suffering, like Jesus did? Or are we responsible for further oppressing and marginalizing others either by our words and actions or lack thereof? These are hard questions, Church. But we must answer them. Because if we profess Jesus as our Lord, we profess that His Kingdom is superior to our own and we lay down our own lives so that His resurrection life can be born in us. If we aren’t willing to lay ourselves down in order to be found in Christ, then we had better stop professing Him as our Lord. If He is really our Lord, we will joyfully accept His invitation to die so that we can truly live. Not for ourselves-we don’t leverage our lives so that we get more in return. Jesus didn’t die for Himself, and neither do we. We lay ourselves down in the way of our Lord, for others. And this is the hope for the future. That we know Him-truly know Him-in His death, suffering, and resurrection, and that we leverage our lives so that others can know Him, too. On Sunday, Pastor Beau introduced our new series, Last Words. We will be looking at some powerful “last words” in the lives of four different people in the Bible. Beau introduced this series by talking a little bit about the significance of last words. They carry weight. We tend to remember them. If we’re the one speaking them, we tend not to waste them. They are intentional, and they can reveal priorities as well as the condition of a heart. When we hear the phrase “last words”, we naturally connect it to the final statements one makes before they die. But there are many other scenarios to which the phrase applies. There are the last words we say to someone else before they die, the last thing we say before a life-changing event, or as we leave a job, a home, a church, a position. There are daily last words–the things we say as we put our kids to bed or say goodnight to our spouse, or what we say before doing something stupid. This is only a partial list, and the scenarios vary in significance, but last words can happen at many different points throughout a person’s life. This series will take us through a variety of last words, and each story is significant. This week, we heard about some of Peter’s last words. Beau talked about Peter’s last words before Jesus’ crucifixion-his well-known betrayal of Jesus-and also took us through some of the last words he wrote before he died, words we are probably less familiar with when we think about his story. If there were no recorded history of Peter’s life after his denial of Jesus, his entire story would be marked by that denial. Even though we do know the rest of the story, we still tend to think about this mistake first when we hear his name. It marked him, for sure. We all carry the markings of of our wounds and mistakes. But it didn’t define him. And our mistakes don’t have to define us, either. Beau’s big question for us this week was, “Who is Jesus to you?” To Peter, Jesus was the tranformative Healer and Savior who not only gave him his identity, but forged that identity in him through the very mistakes that could have otherwise left him feeling disqualified from his calling. I hope that as we walk through some of Peter’s story here, we’ll each come to understand and believe that, like Peter, our stories don’t end in our failures, and that sometimes it takes a while to live into the truth of who Jesus says we are. Beau talked to us briefly about Jesus changing Peter’s name from Simon son of John, to Peter, the name we know him by today. I’m going to begin there. The first thing Andrew did was to find his brother Simon and tell him, “We have found the Messiah” (that is, the Christ). And he brought him to Jesus. Jesus looked at him and said, “You are Simon son of John. You will be called Cephas” (which, when translated, is Peter). Five verses separate Jesus’ proclamation of Peter’s identity and calling and this moment, when he, uh, calls him “Satan”. Five verses. I can’t imagine how small (and maybe afraid?) Peter felt in this moment. Maybe he had forgotten that, often, there is a good chunk of time between the anointing and the appointing. Or maybe he was having a Simon moment. You know, those moments when self takes over and we slip back into the identity that we haven’t quite let go of yet… maybe this was a moment like that. We don’t learn until later how impactful this moment was for Peter. He writes about it not long before his death and they were some of his last recorded words, the ones that Beau focused on in Sunday’s message (2 Peter 1:16-18). This moment reinforced and confirmed Peter’s belief that Jesus was the Son of God. It can be hard to believe that after experiencing the Glory of Jesus, the apparition of Moses and Elijah (Sidenote: How did the disciples know who the men were?? Pretty sure there weren’t photos of them floating around…), and the audible voice of God Himself, Peter would still go on to deny Jesus not long after this moment. Peter went on to fulfill the words Jesus had spoken. He denied His Lord and friend three times. And then Jesus was crucified. The weight of the brokenness that Peter must have felt in the days that followed… the hopelessness, the shame… Only Jesus knew that this deconstruction was necessary for Peter to become all that He had created him to be. Peter wants us to remember who Jesus is–but he also wants us to know that He restores those He calls. He says it confidently because he experienced it himself. And through the deconstruction process and the re-construction that followed, he became in his last words what Jesus had told him he would be in His first words to Simon–he became Peter, the rock on which Jesus would build His church. I agree with everything that Laura wrote above. Through Peter’s story we see the kindness of God. Through Peter’s story we see that we are loved while we are still “becoming”. Through Peter’s story we see the beauty of the grace of Jesus. I have always loved the way that Jesus reinstated Peter. I have always loved the way that Jesus told Mary Magdalene to go tell the disciples and Peter, that he was alive (Mark 16:17). Jesus was making it perfectly clear that Peter’s life, Peter’s call, Peter’s future, Peter’s journey was not over. He had not “sinned” himself out of God’s kingdom. Neither have you. Peter still belonged. He was part of the family of God forever. Someone needs to hear that. If you are in Christ, you are part of the family. Jesus has his heart and his arms open to you–always. I have also always marveled at the way Peter’s life changes drastically from the time he was called out of his fishing boat, through the season of betrayal, the beginning of the early church and for the rest of his life. The Bible lets us know how the transformation happened. According to Acts 1, we know that after Jesus ascended Peter was together with the disciples and others in an upper room in Jerusalem. In Acts 2 we learn that the Holy Spirit fell like fire on those who had been praying together in that room, and we know from that moment on that life was never the same. Peter, full of the Holy Spirit preached a sermon in the street and three thousand people came into relationship with Christ as a result. This is the same Peter that fifty or so days earlier had denied Jesus in order to save his own skin. The book of Acts also reveals the times that Peter was arrested for the sake of proclaiming Jesus, yet he continued to preach Jesus. He continued to be bold. He became a pillar in the early church. He was a new creation in Christ. He had been born again–and his new life was unstoppable. Peter lived from that power source and was instrumental in introducing thousands of people to Jesus and ushering in the kingdom of heaven on earth. We can do that too—not in our own strength, but in the power of the Holy Spirit. It’s the plan of Jesus. Peter knew The Rock from which he had been chiseled, and he knew that his life, his personal “rock”, was one of the “living stones” building the kingdom of God. If you know Jesus, you too are a living stone–a living stone and hopefully a stone gatherer. There is no size limit on God’s spiritual house. Are we tapping into the Holy Spirit’s power so that we can live godly lives and bring others in? Peter became unstoppable because he surrendered to the power of the Holy Spirit. But he was committed for the long haul because he had memories and moments with Jesus that were undeniable. His personal encounters helped carry him. Peter remembered being on the mountain where Jesus was transfigured, where Peter saw Elijah and Moses, where Peter blurted and God shushed him and identified Jesus as His son. Peter remembered his life changing “Jesus moments”. When Peter wrote his second letter he knew he was getting close to death. He was in Rome under Nero’s rule. Scholars say that Peter was crucified in 68 A.D, meaning he was still on fire for Jesus 35 years after Jesus had ascended. 35 years of following Jesus in an empire that was hostile to the Jesus movement. 35 years of persecution. And 35 years of incredible joy as the early church grew and spread throughout their region. His personal encounters with Jesus, and his surrendering to the power of the Holy Spirit were so significant we still read about him more than two thousand years later. He didn’t know that would be the case. He only knew that he had a Savior, a Friend, a Redeemer whom he loved. He only knew that he had received the gift of the Holy Spirit. He only knew that he wanted others to know this Jesus who loved him so well and changed his life. He knew the one thing that matters. Take some time to sit and remember the moments that Jesus has made himself real to you. Remember your story. Remember His goodness to you. Remember the life changing encounters…the “I’ll never be the same” moments. And remember that because you know Him, you have His divine power in you which provides all that you need to change this world. I promise you that your personal story with Jesus and the power of the Holy Spirit are all you need to bring others into the kingdom. Words have power…last words carry weight…may all our words be infused with life and love for Jesus’ sake. Are you longing for balance in your life? I know I am. Even before this series started, I began taking inventory of my life, asking God to show me what to lean into and what to back away from during this next season. We can sense when we’re out of balance–there is a tension, an instability that keeps us on edge, divided hearts within us. We may not be able to articulate that we’re feeling that way as a result of being unbalanced, but we feel the repercussions of living this way. The consequences of an unbalanced life are the things that leave us longing to find our way back, out of the chaotic mess our lives have become. What is it, though? What does balance even mean? Pastor John hasn’t directly defined balance in his messages. The dictionaries I’ve consulted don’t really define it either. In nearly every definition I read, the word balance was used to define itself. I thought that was a no-no, defining a word by itself… But apparently even Merriam-Webster is a little stumped by this one. To get any grasp at all on what balance actually is, I had to consult a Thesaurus. 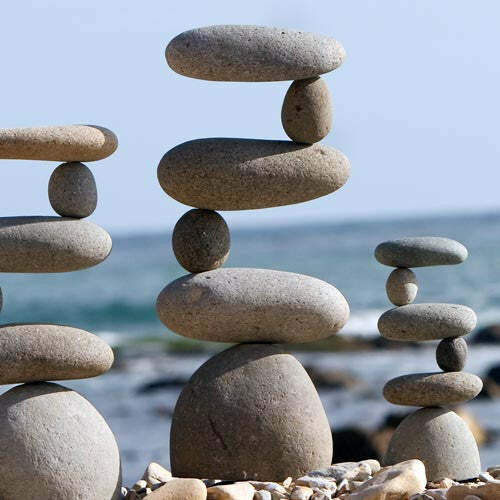 The synonyms for balance include harmony, evenness, equity. Its antonyms include disproportion, instability and inequality. I want harmony, equity and evenness to mark my life. How about you? How do we get there from where we are? Pastor John explained to us three laws of balance. To acquire and cultivate balance, we must first have a reference point, engage in constant correction, and maintain a clear objective. Living this way-much like standing on one foot for an extended amount of time-is simple. The directives are not difficult to understand. The list is not long. It’s simple. But it’s not easy… What is easy, though, is to look back and see where we’ve been in or out of balance in the past. It’s very easy to see how our yesterdays have impacted our todays-for better or worse. We remember the seasons our lives that were marked with instability and disharmony… because we have felt the consequences of living that way. Looking back is easy. Maintaining an awareness of how today’s decisions will affect our tomorrows, though, is harder-if we don’t hold onto the three laws of balance. While finding a solid definition of balance is a challenge, there are principles that we can grab onto. We heard in this week’s message that “Balance allows us to be all God has created us to be”. It’s not possible to live our lives to the fullest, to fulfill the purposes God designed us for, if we’re living out of balance. Every single thing-and every single human being-belongs to God, the Creator of all. And everything we have? It all comes from God. David worshiped, in awe of how generous God had been with him and his people that they could now give so generously. By any standards, David gave extravagantly-today’s equivalent would be somewhere around $14 billion. But he didn’t credit himself as being a selfless guy, some generous temple sugar daddy. He didn’t take one tiny bit of credit. Instead, he was overwhelmed by the extravagance of God that allowed him to then give so much. In this instance, David is awed by all that God promised to do for him and for his family. He understands that it is not man who establishes himself, but rather God who holds the plans and the future of each one He has created. He worships, humbled and grateful for the God who gives identity, purpose, position, in addition to providing for physical needs. In the story in chapter 29 that we discussed earlier, he is humbled again as he sees how much he was able to give-because it was a reminder of just how much he had been given. So what are the takeaways for us? There are many, and I won’t cover all of them here. I encourage you to dig in and seek God’s heart for what He has to say to you through His word. I do want to highlight a few, though. Our ability to give is not dependent on how much we have, but rather the condition of our hearts. I don’t have $14 billion to give to God’s house. Not even close. And I may have a little more or a little less than you have. God doesn’t give out resources equally-but if we see the whole picture, we’ll see that He always gives extravagantly. Our bank accounts will look different, as will the size of our homes, the year of our vehicles, the vacations we take. But we have all been given the greatest Gift in equal measure. The Gift of Jesus, given for each of us so that all of us could be grafted into the best family-the forever family of God. And within that identity in the family of Jesus, we are given everything. Our material wealth is given in unequal measure, according to God’s plans and purposes. Our spiritual gifts will be different among each one as well. But the gift of Jesus’s blood shed for us? We get that equally. In full. Covered and paid for. And that should motivate our hearts to give our raised-from-the-dead lives right back to Him. If we understand how much we’ve been given, we won’t want to hold anything back when it comes to giving to Him-because all that we have was first given to us. Delighting in God above all else changes our “have to” into a “get to”. I don’t believe that David was just an extra-generous guy. And I don’t believe that any part of him struggled to let go of his wealth or himself in surrender to His God. I think we can see pretty clearly that he was a cheerful, grateful, humble giver. I believe this is because he delighted in God. Not as one of many things he found delight in, but as Source of all of his delight and joy. He didn’t have to choose in the moment whether or not to honor God with his life and his giving-the matter had already been settled in his heart. He delighted in his God, and his choices flowed from that place. I recently listened to a message from a conference that asked the question: Is delighting in God your highest aim, your priority? My current answer? Sometimes. Less than sometimes, probably. But I want it to be my priority. Because if we are absorbed in who God is, in enjoying being with Him and delighting in Him, our focus is on God-not on the gifts that He gives. And if our delight is truly in Him and not in what He can do for us or in us, or in what He gives, then living a generous, open-handed, surrendered life that honors Him is easy. Because it ceases to be about us. How can I honor You with everything I am and everything I have? I’ll be digging into this question in the coming days and hopefully you will, too. I don’t know the full answer yet. But I do believe that honoring God with my life includes these things that David modeled in his life: delight in God above all else, understand that everything belongs to God, and because it all belongs to Him, acknowledge that everything comes from God. If we start here, I believe we’ll be well on our way to living lives that honor God. Balance does not only mean that two sides are equal, but it can be the result of “balancing”, meaning to compare all the items on one side to those on the other side. In this case, your bank balance is the result of adding up all the incoming transactions, and deducting all the outgoing transactions. The resulting balance may be positive or negative. This is not rocket science to anyone who has a bank account; however, it got me thinking about balance in the spiritual realm. Laura wrote above: Our material wealth is given in unequal measure, according to God’s plans and purposes. Our spiritual gifts will be different among each one as well. But the gift of Jesus’s blood shed for us? We get that equally. In full. Covered and paid for. Jesus cried out “tetelestai” on the cross right before he died. That Greek word has two meanings. One is literally “It is finished.” The other meaning is a banking term meaning “Paid in full.” So when Laura writes “the gift of Jesus’s blood shed for us? We get that equally. In full. Covered and paid for.” It is settled. Done. Complete. That debt that we owed, that negative balance is wiped out, paid for, finished. However, in other ways God gives unequally, and He is very purposeful in that. He is a diversity loving God, and He has a plan, using that diversity, to bless the world. When God called Abraham He told him… I will make of you a great nation, and I will bless you and make your name great, so that you will be a blessing. (Gen. 12:2) Abraham was blessed to be a blessing. We are blessed to be blessings. Whatever God has given to you doesn’t stop with you; it is part of God’s bigger plan to bless the world, for His glory, through you. Saturday, John and I were preparing for our 21 days of fasting, and we were going through the refrigerator, the freezer, and the cabinets cleaning out old food, expired food, etc. I was mortified that we had some things that expired years ago. I felt the Lord speak to me, and He said, the more you have, the more you waste. I felt the prick of that statement, but began to ponder it, process it, and face it. It’s not just food that I waste. I have a fully furnished living room that no one ever uses. It just sits there. Wasted sofas, wasted space. I have clothes and shoes in my closet that don’t get worn. Wasted garments. I am fasting from social media, but when I’m not fasting and have a minute I’ll often pop onto Facebook or Twitter and before I know it I’ve lost thirty minutes or more. Wasted time. The more we have, the more we waste. And I believe that oftentimes the more we have, the greedier we are. When John and I lived in Brazil, we were very aware that when we worked with the poorest of the poor, they were the most generous, AND the most joy-filled. They gave us fruit from their trees, things they had made with their hands, they gave their laughter, their love, their embrace, their time, accepted us with open arms into their community–it was beautiful. A few years ago on a mission trip to Romania, I tried to bless a family of 13 children by purchasing some of their beautiful flowers. They would not take payment. I tried and tried, but they wanted to give the flowers to me as a blessing. That was a costly gift for them, part of a days wages. It was not what I was seeking, but it was what I received–their costly generosity, their beautiful joy, their gorgeous flowers. If I’m being truthful, I feel the paradox of beautiful pain in my heart when I think about it. I received much more than flowers that day. What does it mean to be rich toward God? Tim Maas writes: Being rich toward God means remembering that God is the ultimate source of time, abilities, and financial or material means that have been placed at our disposal in this life, and using those gifts not purely for our own ease or pleasure, but to express our thanks to God for His grace and generosity toward us… and (for) benefiting those who have not been equally blessed. Sit for a bit and think about all that God has lavished upon you. Think about how many incoming transactions you have received and continue to receive from Him. He is over-abundantly generous! We will never ever out give Him. When you look at the outgoing side, does it balance out with what you’ve received? Do the gifts and talents and personality and love and fruits of the Spirit that He has deposited into you get spent? The reason that the Dead Sea is dead is because water flows into it, but no water flows out. That’s a negative balance. Receiving and not giving leads to a dead, joyless life. All humankind is made in the the image of God (we all equally bear His image), and He is a generous giver. He blesses and blesses and blesses. To be like Him, to reflect His image indicates generous living. And to be rich toward Him, by living generously, honors Him. 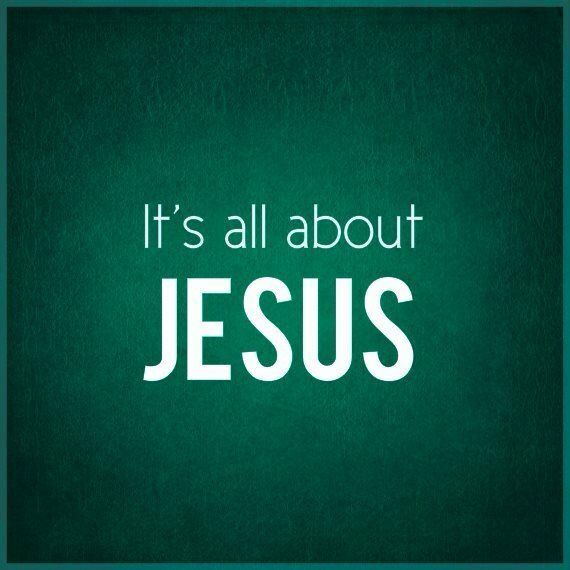 A reference point, a focal point–I recommend Jesus. Constant correction–I recommend balancing your life and choices against His Word and His actions, and readjusting as needed. Clear objective–I recommend a life goal of honoring God and leveraging your life on this earth for the sake of His kingdom. Around two months ago I was praying over the state of the church in America (which I do often), I was lamenting the fact that the Jesus portrayed by many doesn’t look anything like the Jesus of the Bible; I was asking God how on earth we got so sidetracked—so mean, and asking Him to open our eyes, open our hearts, lead us to corporate repentance, and draw us back to the simplicity of the gospel message. As I was praying, God led me to ponder one of the verses that is often used to “lead people to the Lord”—Romans 10:9 “…If you confess with your mouth that Jesus is Lord and believe in your heart that God raised him from the dead, you will be saved.” As I thought about that verse, it dawned on me that we typically emphasize confess with your mouth and believe in your heart, but the heart of that verse is Jesus is LORD. I believe some of us have missed that along the way. The word “Lord” is Kyrios in the Greek. and according to Strong’s Concordance, Lord means: He to whom a person or thing belongs…the owner; one who has control of the person; the master. When we surrender our lives to the lordship of Christ—we are saying, You own me. You are my master. You get to decide what my life is going to be about. I choose to obey you. That’s a concept that sounds scary and unpleasant, and would be if another human were our Lord—but belonging to Jesus and letting him lead us is where real life is found. So, Sunday morning in our stories series, as Dave shared his story, my mind went right to this place. Dave shared with us that he was raised in church. When he was 7 or 8 years old he decided that he probably ought to be baptized, because he knew it was the right thing to do. So he went forward, said all the right things, got baptized, and left the church that morning unchanged. In his words, he went in dry and came out wet. Dave confessed that he had been a pretender for a lot of years. He went to church, he even went to Bible College, but he knew that He didn’t have a relationship with God. He also knew that God was pursuing him, but he ignored God’s pursuit, tried to push it to the back of his mind. (I love that God pursues us when we don’t know Him, and he pursues us when we’ve wandered away from Him.) In Dave’s story, it took his life falling apart, bringing him to the end of himself and his perceived self-sufficiency to finally realize that his only hope was Jesus alone. He cried out—he says he literally cried, bawled his eyes out, and cried out to God. He knew, just like I did in my bedroom, that Jesus saved him in that moment and the Holy Spirit entered his life. He immediately felt peace, joy, relief, loved—all the beautiful inexplicable things that come with surrender. His life has never been the same. That’s what happens when we come into a real relationship with Jesus. We know that something beautiful and supernatural has taken place in our lives, and we know that we will never be the same. We want Him to be Lord, to be our Master, to take control of our lives and lead us. We want to do life His way. It’s not a burden, it’s a joy. Dave closed first service by saying these words: Some of you may be able to relate to my story. Some of you may be pretenders, running from God. If you are in that place, I would beg and urge you to get out of that place and give your life to Jesus Christ. It matters not what anyone else thinks—the only thing that matters is your personal relationship with Christ. What matters most at the end of the day is a personal relationship with Jesus. Dave is no longer a pretender. He says that when God became real to him, he himself became real. Many of us, who have known Dave for the last six or so years have been honored to watch him transform from the inside out. He was gruff, argumentative, and a little scary when he first came around. Now, it’s hard to describe what a gentle man he is. Joy flows out of him. His worship is uninhibited, he is full of generosity and encouragement… I love that. Nothing is better than submitting to the only true Lord, becoming the real people we were made to be, living out the purpose for which we were created. When we live that way, the fruit of that relationship spills out and over onto those around us, and it’s that love, and the kindness of the Lord that draws people to Him. It used to be that church was part of Dave’s life, but Christ wasn’t. That is no longer the truth in Dave’s life, and the evidence of Christ in his life is real. Dave admits that in the past he went through the Christian motions, he looked okay on the outside, but his life was filled with inner turmoil, until he came into a real relationship with a very real, very loving God through Jesus. Now when he calls Jesus his Lord, it’s not just a phrase, it’s his life. What about you? Do you really know Him? Has your life been changed because of Him? Have you done more than said words with your mouth, have you surrendered your life to Him as your Lord in the truest sense of that word? I hope so. Everything in your life hinges on this one choice. He is so worth it! Nothing compares to His love. Dave said he was a “pretender” most of his life. So was I. Our stories are different, but that word and its synonyms still prick my heart a little when I hear them. Maybe that’s because a little bit of the old me still fights for life deep down in my heart. Occasionally, she surfaces. And as much as I would rather hide, God is nudging me to share a little more about my own story here. The tears welling up as I write are evidence of the resistance in my heart. This is a vulnerable, tender space… But I know that to grow, we have to be willing to risk. To risk vulnerability, to risk being misunderstood-the way Dave risked this weekend. Did you know that you can get so good at pretending that you eventually believe it yourself? I didn’t know that. I didn’t know I was pretending. I didn’t know that having a relationship with Jesus actually meant freedom from pretending and permission to be real. That wasn’t my experience. As I understood it, living for Jesus-doing it “right”-took work. A lot of work. So I waded deeper and deeper into the pool of perfectionism. I was great at it. So great at it, in fact, that it would take years before I began to see it for what it was. I will say right here that I believe my relationship with Jesus began the day my eight-year-old little girl heart chose to accept His gift of salvation. I sensed Him, and in ways I couldn’t understand, I loved Him and longed for Him. And He accepted me right where I was, with whatever faith I had then. He pursued me throughout my childhood, He pursued me through all of my pretending, and He pursues me today. I don’t believe my salvation was in question. But I had no idea what it meant to live real. Fast forward to my early twenties… As an adult, married woman with children, things looked good on the outside. I had made awful decisions as a teenager, when the perfectionism couldn’t be maintained and rebellion took over. But now, I was faithful in church, serving in multiple areas, growing in my relationship with God. And I was exhausted. So tired of the upkeep this inner perfectionist demanded. But by now, the “fake” was so much a part of me, it was the realest thing I knew. The verse “Be still and know that I am God” (Psalm 46:10) became my favorite in that season of my life-I wanted that so badly. But I had no idea how to be still. There was too much to be done, too many people to perform for. We started attending FBC in May 2010. And God, in His goodness, began to deconstruct everything I believed about Him-and about myself. As I entered into life and serving at FBC, I began to hear familiar things from people who didn’t know me well. They wanted me to be real, authentic, to stop performing. And I took offense. I got defensive. The little girl who always felt like a victim was hyper-aware of how unsafe this felt. But something was different this time… These people called me out for the fraud I was-AND, they were willing to help me out of the pit. I hadn’t experienced this before. I had been accused of much in the past. I had gotten used to hearing hurtful things. But I wasn’t used to people coming alongside me in my pain and offering me the help I didn’t know I needed. The journey to becoming real-there aren’t really words to adequately capture how painful it can be. But like Dave, I found myself tired of running and desperate for Jesus. And God, in His constant, perfect pursuit of me, used people who were real to teach me what I was missing in my relationship with Him. I was never going to live into the purpose and calling He had for me until I learned who “me” really was. You know what? I found out that I actually like me. And other people do, too. God loved me at every stage of my growth, in His perfect way. But He wanted me to love me, too. To find myself within His love, as His Beloved. He knew of course, that everything flows out of the knowledge that I am fully known and fully loved by Him. And freedom would come when I was willing to be fully known and fully loved by others. And, it was only then that I was truly free to love my neighbor. All of my neighbors. “It matters not what anybody else thinks. The only thing that matters is your personal relationship with Jesus Christ”. We can say the prayer, get dunked in the water, and still not submit our lives to the Lordship of Jesus. We can even think we’re doing it right, and so deceive ourselves. But when things get hard, when we find ourselves in pits of our own digging, that’s where the truth comes out. Is Jesus really ALL to us? Have we become who He knit us to be in our mother’s wombs before one of our days came to be? (Psalm 139:13-16) Or have we chosen a counterfeit version of His original creation? Have we become pretenders even in our pursuit of Him? I lived so much of my life as a pretender. I hated myself and other people weren’t too fond of me either… But what matters now is what mattered then-Jesus thought I was worth pursuing. He had more for me, like He had more for Dave. Like He has more for you. I never want to go backwards-and I pray that by His grace and constant pursuit of me, I won’t. Freedom, realness, knowing the real God-there’s nothing on earth that compares. Are you pretending? Will you let Him love you past all the striving and bravely lay down the masks so you can experience living real, too? This God-fashioned life, this life that is renewed from the inside and works itself into our conduct–it is produced in us “as God accurately reproduces his character in [us]”. So, sanctification, this re-creation process, it’s something God does, not us, right? Like salvation? Yes… but, there is more to this piece. Beau articulated that we can be alive without really living. We can breathe and eat and drink and be “alive” in the most basic definition of the word. Paul reaffirmed in his letter to the Colossians that they had “died with Christ” and been set free from the spiritual powers of this world. But they were not experiencing real life. They hadn’t fully become new, though they were new creations in Christ. They were following rules and thinking of earthly things, still caught up in “this life”. Does that resonate with anyone? Paul is asking them “Why?” in this passage. He reminds them that their “real life is hidden with Christ in God”. When I gave my heart to Jesus as a little girl, I crossed from death to life by the free, un-earnable gift of salvation. I was alive in Him. There were moments of growth in those early years. When I recommitted my life to Him as a teenager, there was a degree of surrender. A knowing that the life I was “living” wasn’t really life the way God wanted me to experience life. But I didn’t really experience “coming alive” in Christ until I was ready to die to myself. Not partially. Not only in certain areas… in everything. The experiences of my childhood and youth and early adulthood were undeniably steps on the sanctification journey. And, like Beau said, I haven’t “arrived” at my fully sanctified state-of-being. I wholeheartedly believe and expect that we won’t reach that point until we kneel before our Savior in heaven. We are in process during our entire time on earth-I see that as one of the clearest marks of God’s nearness and faithfulness to us–that He never leaves us where we are. He keeps coming to us, to work on our condition and reproduce His character within us… if we allow Him to do so. The words came to mind again as I listened to the sermon. We get to choose. We move from death to life in the moment we are saved by grace. But, as He has since the very beginning, God gives us choices. We get to have as much of God as we want. How much do we want? It’s easy to say that we want all of Him. All that He has to offer. All of the fruits of His Spirit. The very fullest life in Him. But just as Jesus had to die in order to be resurrected, fullness of life in Him can only be created in us if we are willing to fully die to ourselves. Beau said that sanctification “requires being in and with Christ daily” and, “To be in and with Christ is to identify with Christ in death and resurrection”. We can’t experience one without the other. We cannot be resurrected, made new, made alive without being willing to die first. Surrendering our whole lives-our desires, dreams, expectations, fears, hopes-before God, choosing to die to our own kingdoms–it doesn’t feel safe. But each time we say yes to God’s re-creation process within us, each time we choose His Kingdom over ours, we come to life a little more. Because that’s where our “real life” is found. “Truly living is right position, working on condition“. Our very first step is being put back into right position before God-salvation. The rest comes after that. We don’t work on our own condition before coming to Christ. And we aren’t the ones who work on it afterwards, either. Legalistic rule-following, trying harder to be better–this doesn’t get us saved and it isn’t what makes us sanctified. It is God who works on our condition, as the Ephesians 4 verse beautifully states. We simply have to be willing to let Him. We have to be willing to die. Because for something to be made alive, something always has to first die. What is God asking us to die to this week? Where have we chosen a lesser life? Are we willing to lay it all down, to die to ourselves, so that we can experience the fullness of life God desires each of us to have? I am pondering these questions again and I hope you will, too.